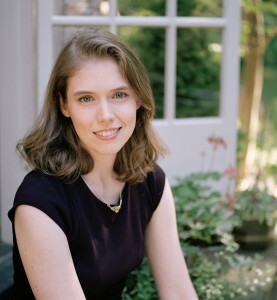 Madeline Miller was born in Boston and grew up in New York City and Philadelphia. She attended Brown University, where she earned her BA and MA in Classics. For the last ten years she has been teaching and tutoring Latin, Greek and Shakespeare to high school students. She has also studied at the University of Chicago’s Committee on Social Thought, and in the Dramaturgy department at Yale School of Drama, where she focused on the adaptation of classical texts to modern forms. She currently lives in Cambridge, MA, where she teaches and writes. The Song of Achilles is her first novel. I have loved ancient Greece since I was five and my mother began reading me the Greek myths. I was enthralled: by the larger-than-life gods, the epic adventures, and most particularly by the stories of the Trojan War, with its noble and deeply flawed heroes. “Sing, goddess, of the terrible rage of Achilles,” begins The Iliad. The words resonated in me, lingering long after my mother had closed the book and turned out the light. Years later, when I became a student of Greek and Latin, I immediately sought out The Iliad. The poetry and language were gorgeous, the story even more compelling than I remembered. I spent a summer in Greece working on an archaeological dig, and my copy of the The Iliad came with me. There, wandering in olive groves and swimming in the beautiful Aegean, I began to think of how I, too, could sing of these ancient tales. I had always been especially moved by Achilles, and his desperate grief over the loss of his companion Patroclus. But who was Patroclus? I searched the ancient texts for every mention of his name, and discovered an amazing man: exile and outcast, loyal and self-sacrificing, compassionate in a world where compassion was in short supply. I had not thought The Iliad had a love story; I was wrong. It has been the deepest privilege and pleasure to spend the last ten years sailing in Homer's wine-dark waters. I very much hope you will enjoy reading this book as much as I have loved writing it. Do the Greek myths really matter in our modern world of cutting-edge technology and tenuous global politics? It can be a cliché to call a story timeless. But the stories of ancient Greece—the Iliad foremost among them—are exactly what this cliché was made for. To borrow Ben Jonson, they are not “of an age, but for all time.” Human nature and its attendant folly, passion, pride and generosity has not changed in the past three thousand years, and are always relevant. And especially at this fractured and shifting historical moment, I think people are looking back to the past for insight. These stories have endured this long, moving generation after generation of readers—they must, still, have something important to tell us about ourselves. Every day on the front page of the newspaper is an Iliad of woes—from the self-serving Agamemnons to the manipulative, double-speaking Odysseuses, from the senseless loss of life in war to the brutal treatment of the conquered. It is all there, in Homer too: our past, present and future, inspiration and condemnation both. I would also add, more specifically, that I think the culture is ready for the kind of love story that transcends gender and time. I did not deliberately set out to tell a “gay” love story; rather, I was deeply moved by the love between these two characters—whose respect and affection for each other, despite the horrors around them, model the kind of relationship we all can aspire to. How much of the Achilles story depicted in THE SONG OF ACHILLES is based on the classics and how much did you create in order to tell the story? And, can you explain how you did your research for the book? In some ways I feel like I’ve been researching this book my whole life! I have loved the ancient Greek myths since I was a child, and studied Latin and Greek throughout high school, college, and graduate school. My professors gave me an incredible and electrifying education in ancient history and literature, and all of it helped provide the foundation for the book—though at the time, of course, I had no idea that I would one day use it for fiction. Once I started writing the novel, I inevitably discovered that I needed to know more: What exactly did ancient ship sails look like? What kind of flora and fauna does Homer mention? My background in Classics helped there too; I had a lot of the answers already on my bookshelf, or I knew where to go to find the information I needed. It was also extremely helpful that I had spent time in parts of Greece and Turkey. It was very important to me to stay faithful to the events of the Homer’s narrative. The central inspiration behind the book is the terrible moment in the Iliad when Achilles hears about Patroclus’ death. His reaction is shocking in its intensity. The great half-god warrior—who carelessly defies rules, and condemns a whole army to death—comes completely unglued, desperate with grief and rage. I wanted to understand what it was about Patroclus and their relationship that could create that kind of crisis. Although Homer tells us what his characters do, he doesn’t tell us much of why they do it. Who was Achilles? And why did he love Patroclus so much? Writing the novel was my way of answering that question. The biggest changes to the mythology came with the stories about Achilles’ life before he came to Troy, which the Iliad doesn’t cover. There are many, many variations on these, so part of what I was doing was figuring out which ones added to the novel’s arc, and which ones I should omit. Most people don’t know that much about Patroclus and his relationship with Achilles. How did you come up with your theory that their friendship grew into love? There is a lot of support for their relationship in the text of the Iliad itself, though Homer never makes it explicit. For me, the most compelling piece of evidence, aside from the depth of Achilles’ grief, is how he grieves: Achilles refuses to burn Patroclus’ body, insisting instead on keeping the corpse in his tent, where he constantly weeps and embraces it—despite the horrified reactions of those around him. That sense of physical devastation spoke deeply to me of a true and total intimacy between the two men. What about the “Achilles Heel” legend? Where does it come from, and after all of your research, do you believe it? Achilles’ most famous myth—his fatally vulnerable heel—is actually a very late story. Our earliest account of it is by a Roman author, almost a millennium after the Iliad and the Odyssey were first composed. During those thousand years a number of other stories popped up to explain Achilles’ seeming invincibility, but the Iliad and Odyssey contain the simplest: he wasn’t really invincible, just extraordinarily gifted in battle. Since the Iliad and Odyssey were my primary inspiration, and since their interpretation seemed more realistic, this was the version I chose to follow. So that may have also influenced me on finding that a not-as-compelling reading. If one wanted to visit Greece and its surrounding countries now, and walk in Achilles and Patroclus’ footsteps, and “re-live” the Trojan War, what modern cities should they visit and what might they find there? The journey would begin in northern Greece, in the region of Thessaly. We aren’t sure where Peleus’ palace may have been (if it was a real place), but certainly Mount Pelion is still there. It is a gorgeous spot to go hiking, and there’s even a mountain train that runs on the weekends. Nearby, the major port town Volos is a wonderful place to visit and, given its excellent location, could very well have been a good Phthian settlement in antiquity. Next up would be the island of Scyros, where the goddess Thetis hid her son Achilles from the war, disguising him as a woman. Scyros is in the middle of the Aegean, the most southern of the Sporades island cluster. It’s quite rocky, especially in its southern region, and also has some wonderful Byzantine and Venetian monuments, along with its stunning landscapes and beaches. If you want the full Achilles experience, cross-dressing is a must. After that, it’s off to Aulis, (modern Avlida), in Boetia, due north of Athens. This is where the Greek fleet gathered before setting off to Troy. It’s quite a small town, but there are beaches, of course, and you can sit on them and pretend that you’re there waiting for that kid Achilles to finally show up so you can sack Troy already…. Though Achilles and Patroclus didn’t actually go there, now is a good time to take a quick detour to Agamemnon’s palace at Mycenae, in the northern Peloponnese. It’s one of the few Homeric-era ruins that we do have, other than Troy itself. You can see the famous “Lion-Gate” entrance to the city, as well as the circular graves where the golden “Mask of Agamemnon” and “Cup of Nestor” were found. As you tour the site, imagine that you’re the proud son of Atreus himself, and bully some subordinates. But don’t go too far: Agamemnon was killed with an ax in the bathtub by his fed-up wife. Now, back to Aulis. After joining up with the fleet, Achilles and Patroclus would have made their way to Troy, stopping several times along the way. Since we don’t really know where they stopped (even in mythology), I think that this gives you the right to land at pretty much any fabulous Greek island that you wish. If you take the southern route, you can drop by Lesbos, where the famous poetess Sappho (whom Plato named the tenth muse), lived and wrote. Farther north is the island of Lemnos, which was infamous in ancient mythology as the home of the venomous snake that crippled the hero Philoctetes. Watch where you step! Personally though, I would recommend choosing the most northern route, which takes you, with just a little detour, by the incredible city of Istanbul. I had the good fortune to visit Istanbul this past spring, and it is breathtaking. Everywhere you look there is some priceless piece of history, from the Hittites to the Ottomans, not to mention its many modern attractions. So, you heard it here first: Patroclus definitely went to Istanbul. Last stop: Troy itself, perched just below the Dardanelles. The nearby city of Canakkale is a great place to stay and boasts the full-size prop of the Trojan Horse used by the 2004 movie Troy. Brad Pitt himself arranged the donation, the rumor goes! Sing, goddess, of the rage of Achilles. What do you hope that readers will gain from reading your book? And, what do you say to folks that say, reading the Greek myths is just too hard and not very interesting? That kids in school should be able to choose their own reading materials (vampire novels, and the like) and not have to worry about these classics? For those who have dipped into an ancient epic—the Iliad, say, or the Aeneid— and found it boring, here is my answer: I understand. As a teacher, I have often had students who would come to me at the beginning of the school year and confess, I read the Aeneid over the summer and hated it. It doesn’t worry me: the poems assume a lot of background knowledge—who the gods are, and what the back story is. They also assume that their audience understands epic conventions, like listing all the generals and their ships, or using frequent repetition. If you don’t have that knowledge, the book can feel like a confusing slog. But, if you go into it with a guide—a good introduction, a quick re-read of Greek myths, a friend who loves it—then it just comes to life in your hands. Every one of those students, at the end of the school year, declared that they loved Vergil and they loved the Aeneid. One of my explicit desires in writing this book was to make it so that readers didn’t have to know anything about the Iliad to enjoy it. I wanted to give them everything they needed to follow the action right then and there, so that they could experience Homer just as his first audiences would have: as entertainment, instead of an object of study. The good news is that even if someone doesn’t appreciate a Classic text in school, they might go back to it later and realize that they enjoy it after all. I read Toni Morrison’s Sula in tenth grade and it went completely over my head; I just couldn’t connect with it. Then I picked it up again a few years ago, and absolutely loved it. So there’s always hope. In the meantime, what’s wrong with vampires? As for what I hope readers will gain: I certainly would love to hear that the novel inspired some interest in Greek mythology in general, and the Iliad in particular. I hope too that it might help to combat the homophobia that I see too often. Achilles, 'best of all the Greeks', is everything Patroclus is not — strong, beautiful, the child of a goddess — and by all rights their paths should never cross. Yet one day, Achilles takes the shamed prince under his wing and soon their tentative companionship gives way to a steadfast friendship. As they grow into young men skilled in the arts of war and medicine, their bond blossoms into something far deeper — despite the displeasure of Achilles's mother Thetis, a cruel and deathly pale sea goddess with a hatred of mortals. 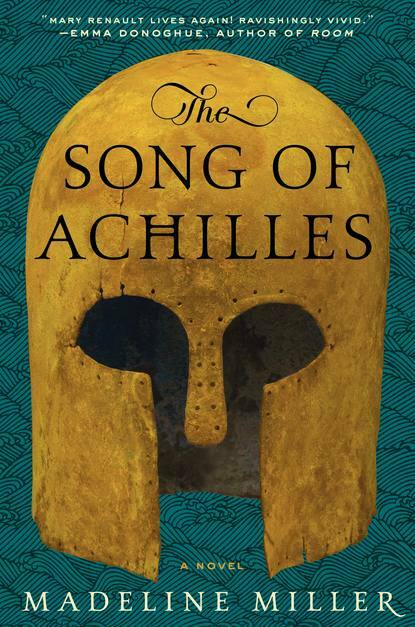 Madeline Miller’s The Song of Achilles is a stellar piece of literary work that takes readers into a deeper look into the well-known story of Achilles and his actions in Troy. Achilles’ God-like abilities are known to many but the author manages to integrate deeper origins about his life, specifically his emotive love story with Patroclus. Their amazing homosexual relationship is written in a sensitive way with beautiful prose. Written in Patroclus’ viewpoint, it delivers a whole new light to the Achilles story and brings to life a love story that is rarely heard. Madeline’s retelling of Achilles is remarkably beautiful. Her extensive research work shines bright throughout the book. 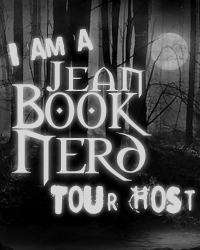 The writing style fits perfect with the book’s theme and tone. Achilles and Patroclus’ relationship felt genuine and it was done impeccably. Madeline does a wonderful job of dexterously describing the buildup to the key events in the Trojan War which includes the famous quarrel between Achilles and Agamemnon. The terrible magnitudes of the clash heavily affected the fates of Patroclus and Achilles. The Song of Achilles carries a very beautiful love story that touches subjects of war, friendship, and jealousy. Although it is a very descriptive tale of a growing friendship, it is their unique relationship that makes their tale very compelling. This awesome debut novel has broken many grounds already and I am certain that the author will continue to do so with her subsequent works. Thank you Madeline for making this giveaway possible. 1 Winner will receive a Copy of The Song of Achilles by Madeline Miller.